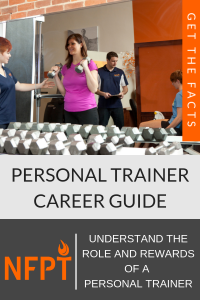 Many people hire a trainer to avoid making mistakes which can lead to injury. Call it what you want – exercise form, correcting mistakes, cueing, etc. 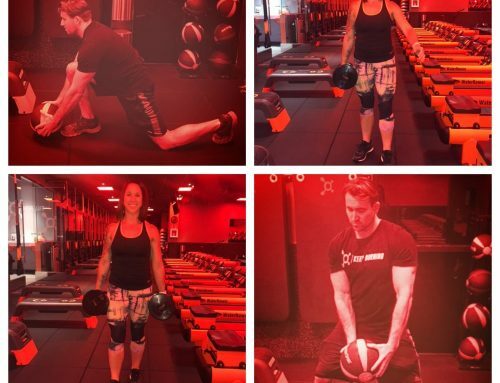 Form cues are an essential component of personal training. Ensuring a client can execute a specific movement with correct body mechanics is a necessity for safety when exercising. 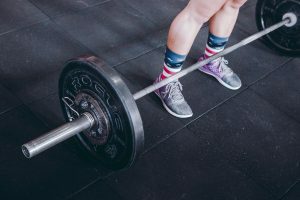 Poor form means an increased risk of injury which could ultimately derail a client’s progress – if not reverse it entirely. These 12 exercises present challenges for many clients. Here’s how you can help them overcome the struggle. 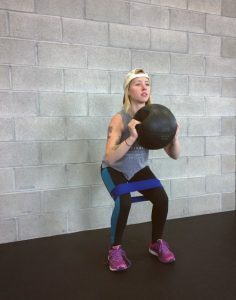 Before advancing a client to a traditional back squat or dumbbell squat, work on body weight squats using a resistance band. You can cue the client to press out slightly against the band to keep the knees in alignment and avoid varus or valgus movements. 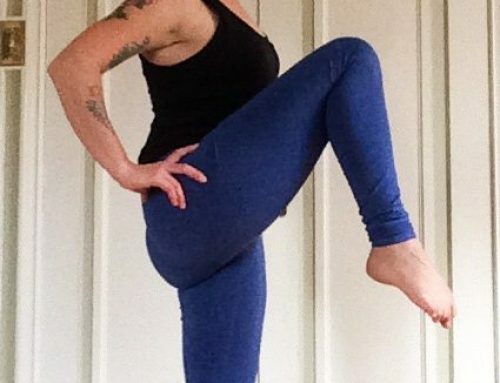 The knees should track over the second toe, but not extend excessively beyond the toes. Instruct the client to shoot energy through the heels rather than the toes. Learn more about squat corrections in this article. The torso should lean only slightly forward (rather than keeping the back completely and rigidly straight up and down). If the back remains rigid, this can increase the arching of the low-back. Arching of the back will be exaggerated if a client has tight hip flexors as this would cause the pelvis to move anteriorly. 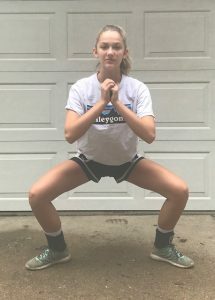 The same rule applies here as it does to the squat – knees should track over of the second toe. Instruct the client to push through the heel of the lead foot so that the glute is activated on the upward motion. 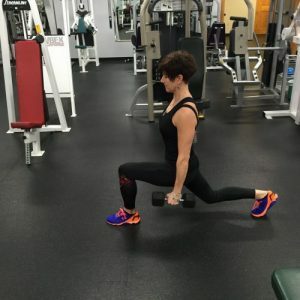 Fortunately, there are many ways to modify a lunge. There are multiple points of contact the client’s body should make with the bench: the head, shoulders, torso, glutes, and feet (if the client is unable to keep his or her feet flat on the floor, instruct him or her to place their feet on the bench). Ask the client to assume a supine position on the bench and evaluate these points of contact. Start with a lower resistance to teach proper mechanics. 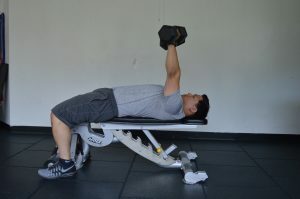 If the back arches or the bar bounces off the chest, the weight is not appropriate. The weight should be moved through a full range of motion without momentum. Place a rolled towel between the client’s arm and torso. Instruct the client to keep the towel held tightly in place as he or she performs a curl. Start with a lighter weight and remind the client to draw the abdominals in (keep the core tight). 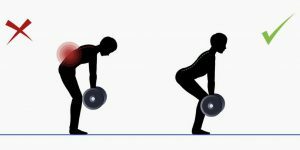 If the back starts to arch or the client is bending backward, the weight is too heavy. While in a supine position with knees bent, instruct the client to tilt the pelvis back slightly so that the back is not arched off the floor. 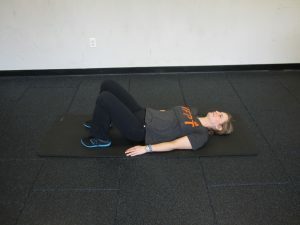 This will make the movement more efficient as it will appropriately activate the abdominals. · Failing to keep a neutral spine and pelvic position. The client’s body should be in a straight line. Instruct him or her to assume the plank position while looking three to five inches in front of their hands. Ask the client to imagine a cup of water on their back. The goal is to keep the cup balanced by keeping the hips square to the ground and the spine straight. Read more about proper planking in this article. The client’s hands should be at shoulder-width and placed under the shoulders (not out in front or wider than the shoulders). 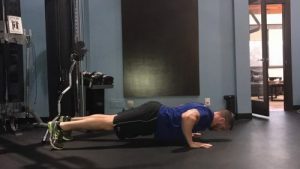 Ask the client to assume a table-top position to find the correct hand placement before moving into the push-up position. Cue the client to draw the abdominals in. If the hips begin to drop, it’s time to stop. The client should lean slightly back to allow enough space for the bar to pass in front of the face and down to the upper chest area. 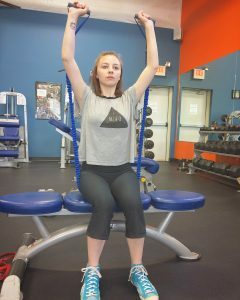 Instruct the client to move the elbows down and back while keeping the chest up and out as the bar is lowered. The bar is pulled down and toward the body (not just straight down). 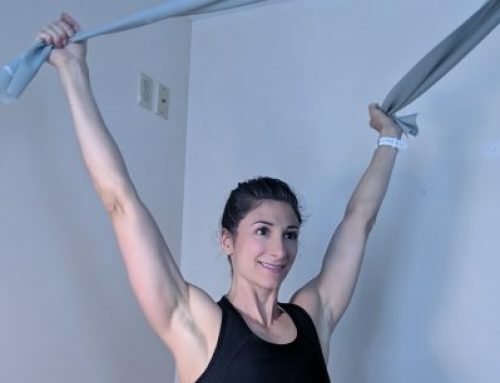 Pulling the bar behind the neck can create shoulder impingement. Instruct the client to turn the thumbs up slightly (not so much that the head of the dumbbell is facing the ceiling). This slight motion externally rotates the shoulders and decreases the chance of shoulder impingement. Cue the client to keep the wrists in a neutral position. · Leaning forward in the downward motion. While in the plié position (toes turned slightly out rather than forward), instruct the client to pull the shoulders back and drop straight down (versus shooting the hips back and leaning forward as in a back squat). To facilitate the initial movement, have the client stand against a wall to feel the upward and downward motion. Instruct him or her to squeeze through the inner thighs on the way up and get the hamstrings parallel in the downward motion. While in either a standing or seated position, instruct the client to pull the shoulders back and draw the belly in. If balance is a concern, stagger the feet and start with a lighter weight. As the weight moves up and over the head, balance is further challenged and that is when the client form may suffer. Instruct the client to stand with feet hip-width apart and shoulders pulled back and down. The bar should remain close to the body and glide down the shins, and the spine should not round forward. If it does, it might mean the upper back is weak and isn’t able to counteract the forward motion. 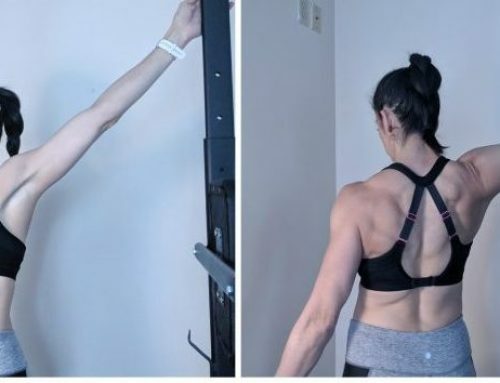 Obviously, strengthening the back muscles is one fix. It could also mean the weight is just too much for the client to control effectively. Try using a single dumbbell. The client can hold each end of the weight and practice controlling the motion down and squeezing the glutes and hamstrings on the way up. This list is not an exhaustive review of all possible exercise form concerns. It is also not a comprehensive list of all potential solutions to explore and test. 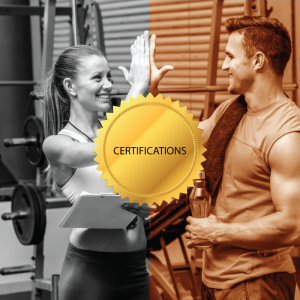 There are numerous ways to teach correct form and the basis for identifying solutions to common issues is a sophisticated understanding of human anatomy and kinesiology. Take some time to build upon your existing knowledge and practice your teaching skills. Most importantly, remember that progress will never be made if the form is sacrificed.